This week’s “You Capture” had a Valentine’s theme with it…kisses. Too bad the husband is not a fan of me photographing our kisses. So you’ll have to make do with this photo of me and Chloe. She likes to sit in my lap while I work, and lean back and look up at me. So I kind of failed this challenge, but it was fun either way. Sweet moment with Chloe, and I got to eat all of those kisses hugs. 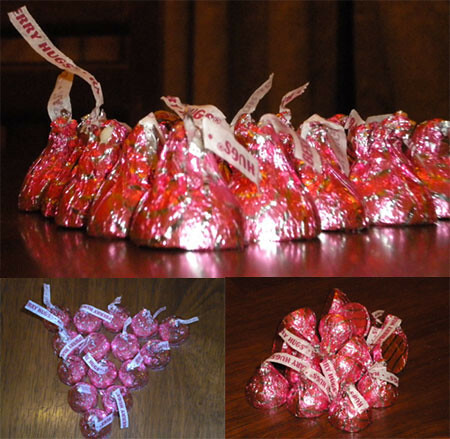 I am a great big fan of the chocolate variety kiss! Your kitty looks like she’s in heaven. Love it. My hubby was also an unwilling participant!! I wouldn’t call it a failure . 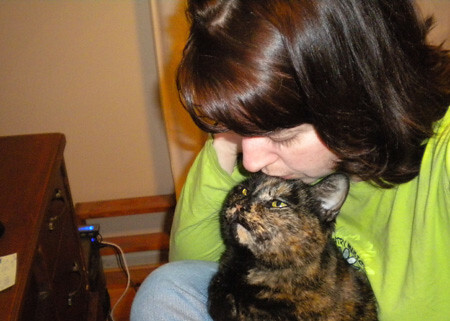 . . love the kitty kisses. I love your kitty 🙂 Those are my favorite kind of cats!